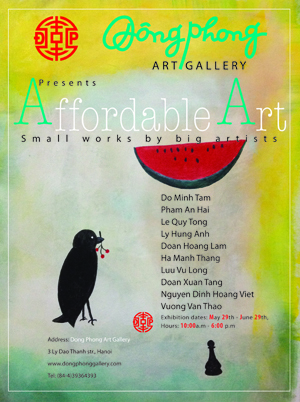 Dong Phong Art Gallery is pleased to present more than 30 works by some of the best artists in Vietnam. The show contains works both by artists with established international reputations and by new and existing talents. These artists have produced a collection of works in collaboration with Dong Phong Art Gallery, which we are now happy to present to our friends and customers. 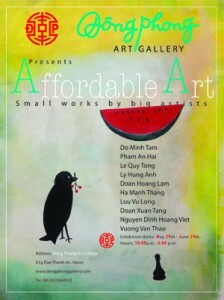 This is a rare opportunity to see and acquire works by some of Vietnams most prominent artists. The works include oil and acrylic paintings, mixed media art, ink sketches and digital art. The works are available at prices from US$50 – US$500.